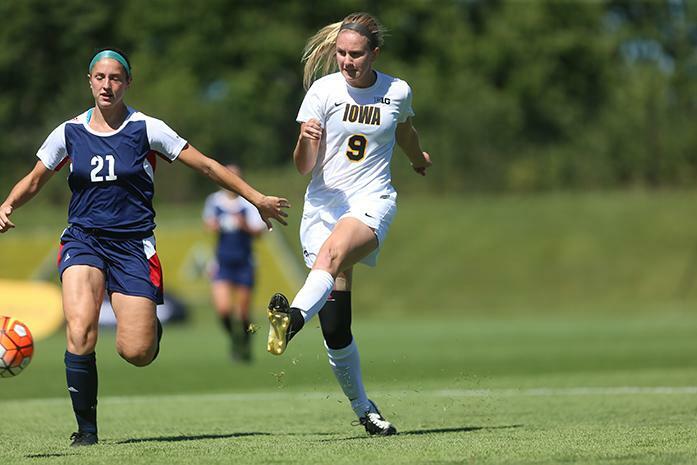 Hannah Brobst and Rose Ripslinger saw game minutes for the first time in their college careers Sunday. 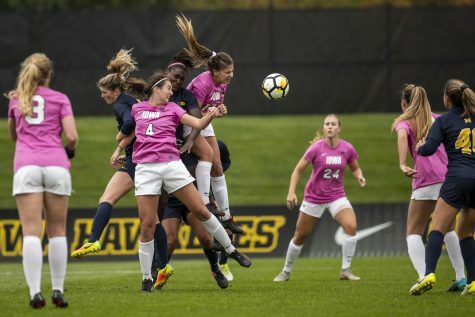 Two Hawkeyes were reminded what competitive soccer was like when they saw game time for the first time in their college careers in Sunday’s match against Illinois-Chicago. 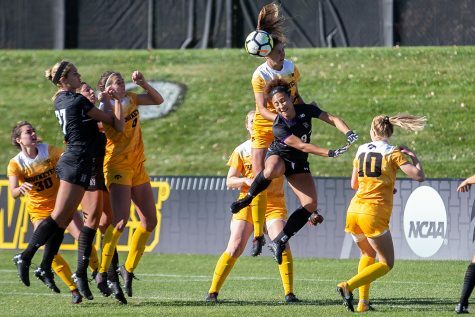 Redshirt freshman Rose Ripslinger and freshman Hannah Brobst got into the game during the second half of the last nonconference matchup of the season. The two Hawks were unable to start the season right away because of injuries. Ripslinger redshirted in 2014 because of a torn ACL, and she was still rehabbing at the beginning of the season. 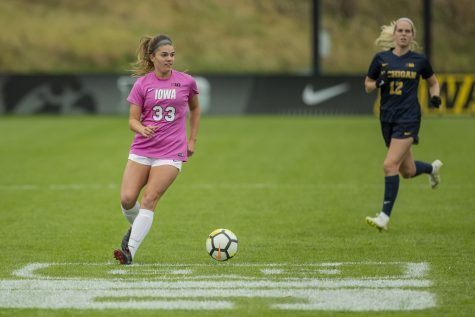 Brobst came into her freshman year with a hip issue and was finally well enough to make an appearance this past weekend. 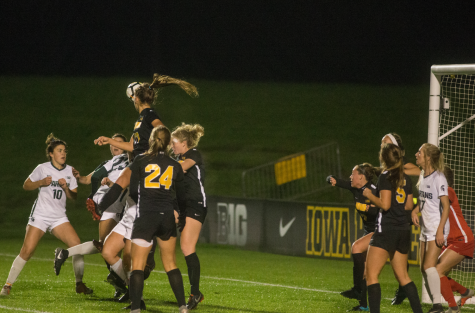 Ripslinger played 12 minutes, and Brobst was in the game for 18. For Brobst, the first-time experience became even sweeter fewer than four minutes into her appearance. 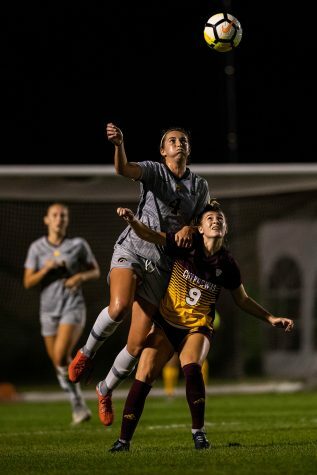 The native of St. Louis scored the second goal of the game and the first of her career with the assistance of freshman Alina Magruder. Neither played a large number of minutes against the Flames, but that was OK with them — for now. 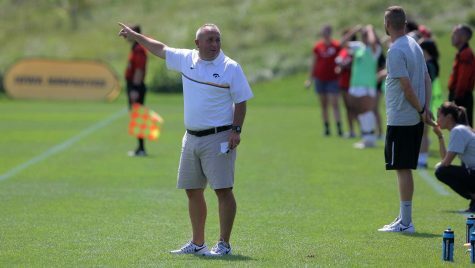 Earning more minutes will be a process for the two underclassmen, but head coach Dave DiIanni has no doubt whether the Hawkeyes will put up a fight to get into the game. Although it may be a long road, both are willing to continue to work to prove themselves worthy of a spot on the field. For now, the two are willing to take whatever they can get in terms of minutes to try to get into the game-time state of mind. 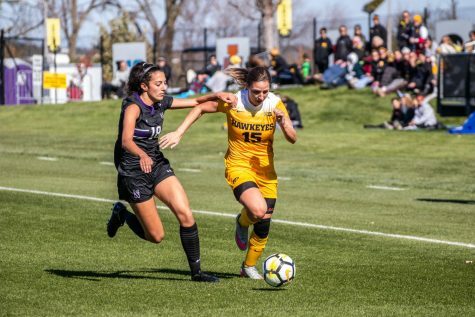 Both DiIanni and Ripslinger noted that match minutes are very different from practice minutes — not only because the speed of the game is quicker but also because the opponents are not as forgiving as teammates in practice. 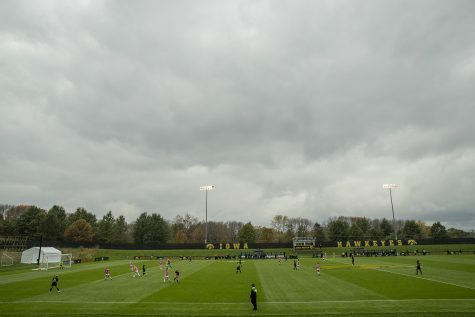 The opposition was no longer teammates in a scrimmage at practice — they were people who are strangers, people who wanted to win, people who did not care that they were just getting over injuries. Rather than running away scared or worried about further injuring themselves, the women look toward the future.